What Would Happen If The Earth Was Really Flat? Despite the fact there is ample evidence by which we know our planet is in fact round, there are many people who argue against these facts. 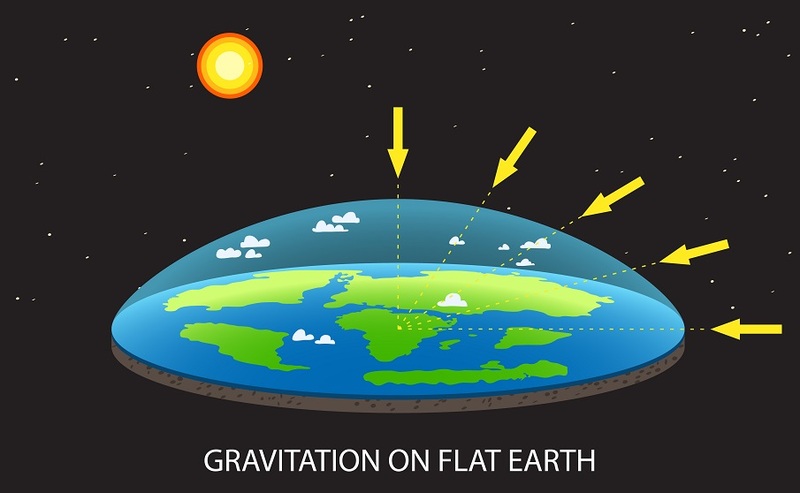 The Flat Earth Society, for example, contends that our planet is, in fact, flat and that the images and videos made available through NASA, ESA, Roscosmos and other space agencies are the results of Computer Generated Images (CGI). In fact, more than 2,300 years ago, ancient Greek philosophers and Geographers managed to calculate the circumference of our planet and conclude the Earth was round. Eratosthenes of Cyrene, a Greek mathematician, geographer, poet, astronomer, and music theorist, and the chief librarian at the Library of Alexandria calculated the circumference of the Earth. Eratosthenes was visiting Syene (now Aswan), he observed a phenomenon that caught his attention: at midday, on the summer solstice, no vertical shadows were being cast down. This happened because the Sun was directly overhead. Upon returning to his city, Alexandria, the mathematician tried to prove if the same thing happened there. He stuck a stick in the ground to see if, at noon, it generated shadows or not. And of course, there was a shadow, of 7 degrees to be precise. The conclusion that Eratosthenes drew from this phenomenon was the right one: The Earth must be spherical. Now, scientists from the Lamont-Doherty Earth Observatory, from Columbia University explain how a Flat Earth simply can’t exist. 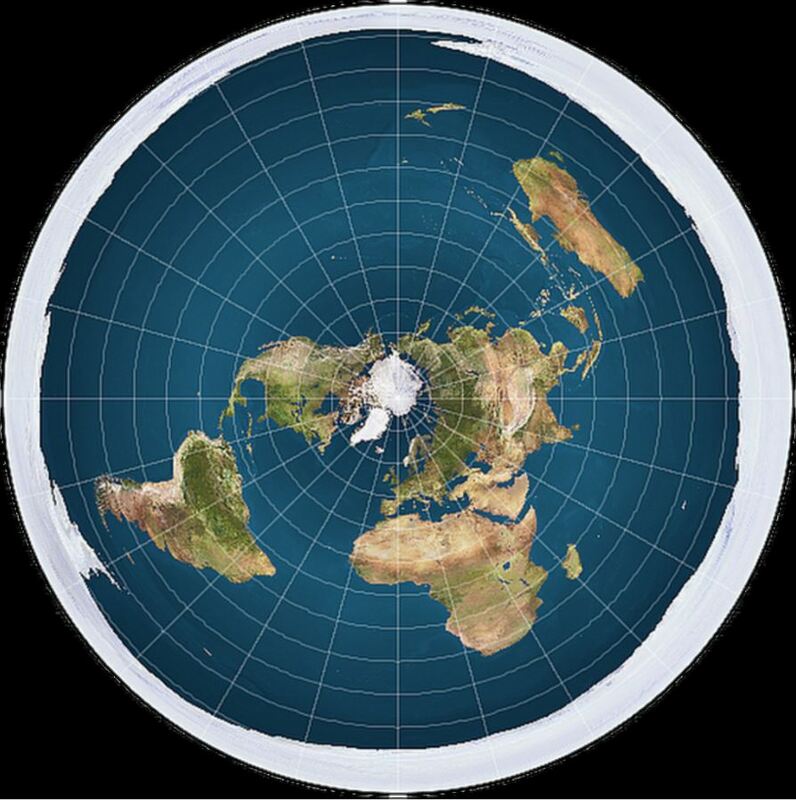 Despite the fact there is evidence which proves our planet is round, many people claim it’s not, and that we live on a Flat Earth. Image Credit: Shutterstock. That’s great but… what would happen if the Earth was in fact FLAT? However, and despite the beliefs of the Flat Earth Society, a revealing blog from the Lamont-Doherty Earth Observatory at Columbia University explains what would happen if our planet was flat. First, a ‘flat Earth’ as the one that the Flat Earth Society defends may not have gravity. It is not clear how gravity would work or be created in such a world, says Lamont Doherty geophysicist James Davis. This is a huge problem since gravity explains a wide range of terrestrial and cosmic observations. The same measurable force that causes an apple to fall from a tree also causes the moon to orbit the Earth and all the planets orbit around the sun. People who believe in a flat Earth assume that gravity acts directly, but there is no evidence to suggest that it works that way. What we know about gravity indicates that it would pull toward the center of the disk that forms the so-called flat Earth. That means that it would only pull down at a point in the center of the disk. As it moved further and further away from the center, gravity would pull more and more horizontally. This would have some strange impacts, such as sucking up all the water towards the center of the world and causing the trees and plants to grow diagonally, as they develop in the opposite direction to the pull of gravity. Then we have our mighty and beautiful Sun. In the scientifically supported model of the solar system, the Earth revolves around the sun because the latter is much more massive and has more gravity. However, the Earth does not move towards to the Sun because it travels in an orbit. In other words, the sun’s gravity is not acting alone. The planet is also traveling in a direction perpendicular to the gravitational pull of the star; if it were possible to deactivate that gravity, the Earth would shoot in a straight line and speed out of the solar system. In contrast, the linear pulse and the sun’s gravity combined, result in a circular orbit around the sun. The Flat Earth theory places our planet at the center of the universe but does not suggest that the Sun orbits the Earth. On the contrary, the sun rotates on the upper side of the world like a carousel, emitting light and heat downwards like a desk lamp. Without the linear and perpendicular impulse that helps generate an orbit, it is not clear what force would prevent the Sun and the Moon from hovering above the Earth, says Davis, instead of impacting it. Furthermore, if our planet was, in fact, flat, artificial satellites would probably not be possible. How would you orbit a plane? “There is a series of satellite missions that society depends on that simply would not work,” says Davis. If the Sun and Moon simply revolve around one side of a flat Earth, there is likely to be a procession of days and nights. But it would not explain the seasons, the eclipses and many other phenomena. The Sun should also, presumably, be smaller than Earth as to not burn up or crash into our planet or the Moon. We know that the Sun is more than 100 times the diameter of the Earth. Deep beneath our planet, the solid core of the Earth generates the magnetic field of the planet. But on a flat planet, that would have to be replaced by something else. Maybe a sheet of liquid metal. That, however, would not rotate in a way that would create a magnetic field. This means we would not have an atmosphere, as it occurred on Mars after our neighboring planet lost its magnetic field, causing the air and oceans to escape into space. Contrary to popular belief, and what is written all over the internet, it is a mistake to think that many societies and educated people believed in the theory of the flat Earth. “With few extraordinary exceptions, no one educated in the history of Western civilization since the third century of our era believed that the Earth was flat,” noted historian Jeffrey Burton Russell in 1997. “A round Earth appears at least since the VI century before Christ with Pythagoras, who was followed by Aristotle, Euclid, and Aristarchus, among others, observing that the earth was a sphere,” explained Davis.